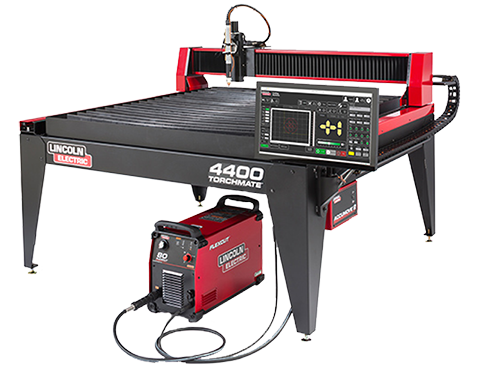 The FlexCut 80 plasma cutter by Lincoln Electric has achieved a new industry standard in both consumable life cycle and metal cutting speed. This combination has raised the bar in the plasma cutting industry – giving more money and more time back to our customers. The FlexCut 80 can attribute these achievements to a patented consumable design and a reengineered power supply that has concentrated the plasma in a new way. 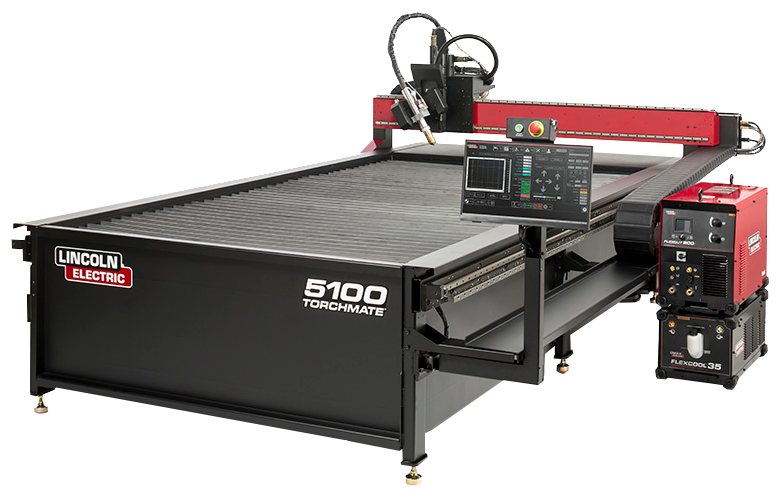 The end result is a plasma cutter that gives our users unparalleled plasma cutting efficiency. The FlexCut patented consumable design lasts up to 3x longer than the competition and comes in at a price that is 45% lower than the competition. This makes the FlexCut 80 the clear choice for a business looking to maximize their return on investment. In comparison to the top competitors in the conventional air plasma cutting industry, the FlexCut 80 (in recent tests) surpassed the competition by withstanding nearly 3x the amount of pierces before needing a consumable change. It also matched the industry’s finest cut quality; based on three characteristics that define edge quality: dross accumulation, bevel edge, and surface finish. We further strengthen our offering with a three-year warranty and a comprehensive post-sale support plan. 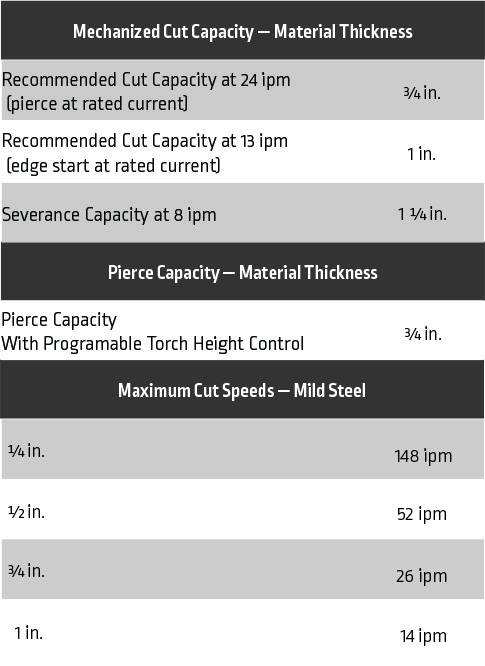 The FlexCut 80 plasma cutter utilizes a programmable torch height control that comes standard on all Torchmate plasma cutting tables to obtain a thicker pierce capacity — up to 3/4 inch mild steel plate. Users can cut this material at 80 amps while holding an 80% duty cycle. 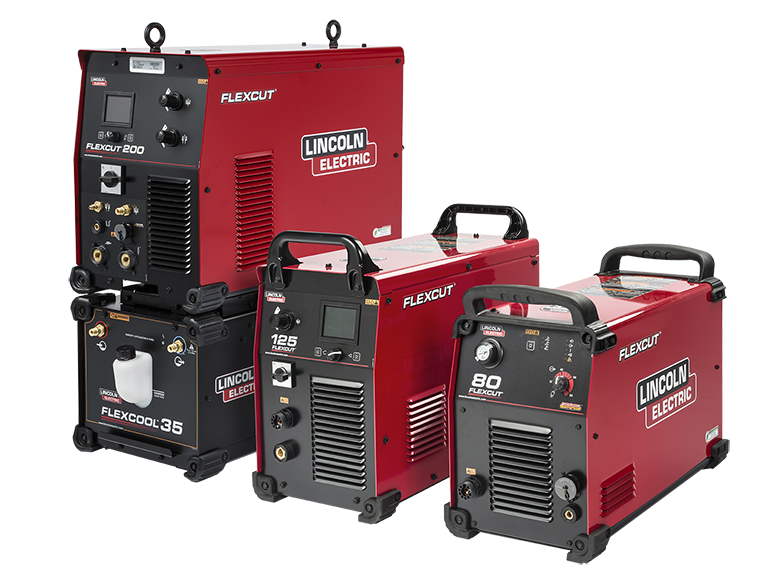 This industry leading duty cycle for 80 amp plasma cutters is ideal for CNC applications. Plasma cutting tables allow the machine to cool while it moves to pierce points around the metal plate. In addition, a hand torch option is available as an addon. Please download the full FlexCut 80 Brochure here. You will find complete details on this plasma cutter inside. You may also download the FlexCut 80 product brief here. This is a shorter document that will give you an overview of the plasma cutter.